Not exactly from the Emerald Isle—but a lovely shade of emerald. 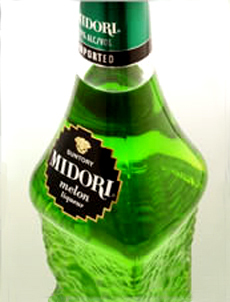 Midori Melon Liqueur is delicious, and deliciously green when you need a celebratory green cocktail. Developed by Suntory*, the liqueur was launched in the United States in 1978 at a monster party at Studio 54 (then the world’s most famous nightclub) attended by the stars of that year’s hot movie, Saturday Night Fever, including the young John Travolta. 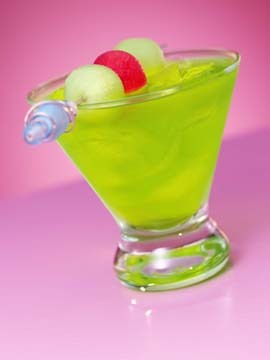 Almost 30 years later, Midori has proved its staying (alive) power. *In addition to Suntory Beer, the company owns Ballantine’s, Jack Daniel’s, The Macallan, Glenfiddich, Kahlùa, Campari, Bordeaux’s Château Beychevelle and numerous other beer, sake, wine and spirit brands. 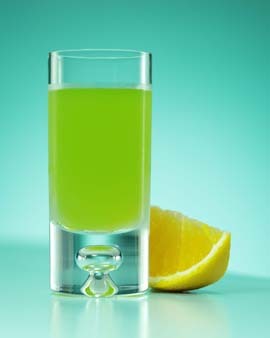 To enjoy a green Champagne for St. Patrick’s Day, add a 1/2 ounce of Midori to the bottom of a Champagne flute and pour the Champagne on top. Don’t stir—it breaks the bubbles. Shake and strain into a chilled glass. 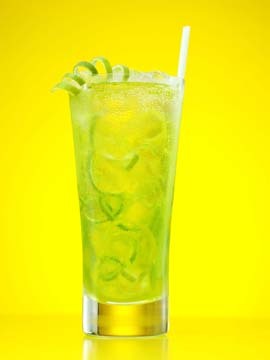 Add an optional curly lime peel garnish. 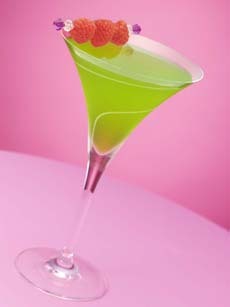 Midori Cosmopolitan: The famous pink cosmo goes green for St. Patrick’s Day. Pour into a tall glass over ice. Serve in a rocks glass over ice. Layer, pouring the Midori in first. 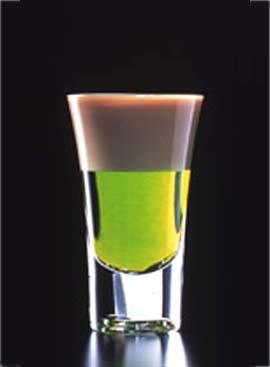 The liqueur will float on the top.